Which are the top 10 Russian cities to live in? The rating offered by the Russian Reporter magazine does not include Moscow and St. Petersburg. Job prospects, ecology, the economy, and local authorities all factor in. Tyumen, a city in Siberia (2,000 km to the east of Moscow), ranks first in the fresh ranking of Russia's best places to live, released by the Russian Reporter magazine in May 2017. The research focused on cities with populations over 600,000. The ranking is informed by the life quality statistics, and also by the results of a popular vote on the SuperJob job vacancy aggregator. The authors decided against including Moscow and St. Petersburg, explaining that both cities have their budgets formed differently from elsewhere in Russia. Tyumen is the capital city of an oil-rich region, meaning that the municipal budget is awash in cash. Russian Reporter notes however, that Tyumen was propelled to the top of the list thanks to the popular vote. The magazine also praises the city administration for the recent boost in Tyumen's social and economic performance. This southern city (1,300 away from Moscow) had topped the Russian Reporter rating for five years in a row. Statistically speaking, it has the highest housing construction rates in Russia; residents also highlight the affordability of services and commodities. 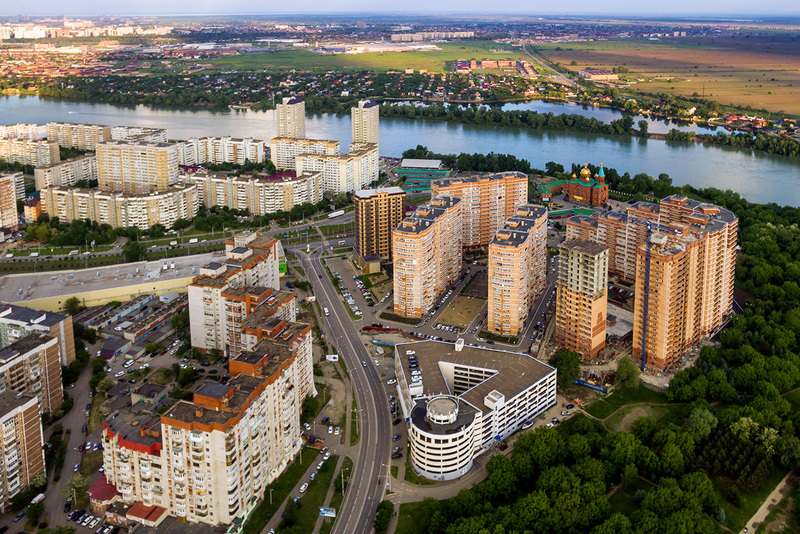 Krasnodar is also particularly open to domestic and international investment. Russia's southern gateway (760 km to the south of Moscow), Rostov-on-Don is a major transport hub, an administrative and economic center, which is conducive to high business development dynamics. The city's main trait is its flexibility and ability to adapt to change without giving in. The city in the Ural Mountains (1,800 km to the east of Moscow) can boast decent average salaries and leads the country in retail trade. Yekaterinburg remains open to all things new. In 2013, the residents elected as their new mayor Yevgeny Royzman, “a decisive and controversial figure who is not afraid to antagonize the federal authorities,” the Russian Reporter notes. The residents of Kazan (800 km to the east of Moscow) believe that their city leads the country in a number of socio-economic parameters, such as the accessibility of kindergartens and schools, good employment prospects, recreational areas, and the amiability of the people. Kazan is also using its tourist potential wisely: During the 2017 FIFA Confederations Cup, between 80,000 and 150,000 tourists are expected to visit the city. Novosibirsk is Siberia's scientific and industrial capital (3,300 km to the east of Moscow). The city authorities spend generously on education, culture, and sport, but residents are unhappy with the inferior ecology, high street crime, and poor employment opportunities. This industrial and logistics center in the southeast of Siberia (4,100 km to the east of Moscow) has everything it takes to make a major breakthrough, but the high crime rate is getting in the way. Despite having been in stagnation for the past several years, this city in the Urals (1,400 km to the east of Moscow) retains a high popularity rating as a prominent cultural center of the country. Nizhny Novgorod (416 km to the east of Moscow) is located at the confluence of the rivers Oka and Volga. It’s also known for its cluster of IT companies: Intel, Huawei, SAP, and Yandex have their offices there. The capital of Bashkortostan, an agricultural and petrochemical region (1,300 km to the southeast of Moscow). Ufa transformed significantly after hosting the Shanghai Cooperation Organization and BRICS summits hosted in 2015, but local residents complain that well-paid job vacancies are hard to come by.